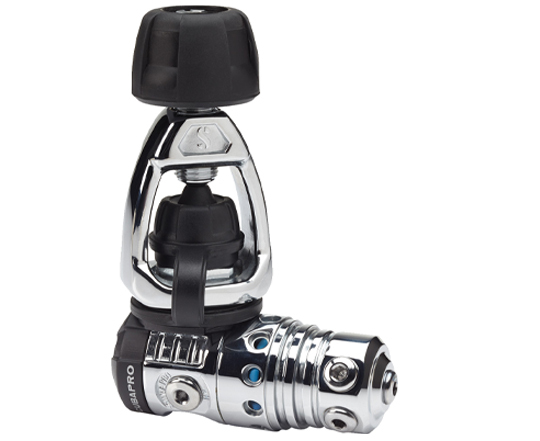 SCUBAPRO teams its high performance first stage with its new air balanced second stage. The MK25 EVO offers excellent resistance to freezing, superb inhalation sensitivity and instant delivery of air on demand. Members earn 1,160 Points on this purchase! 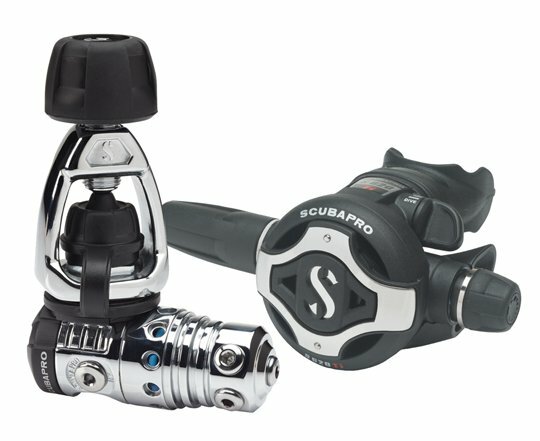 The new S620 Ti embraces the best features of SCUBAPRO’s renowned S600 in an upgraded, state-of-the-art design. 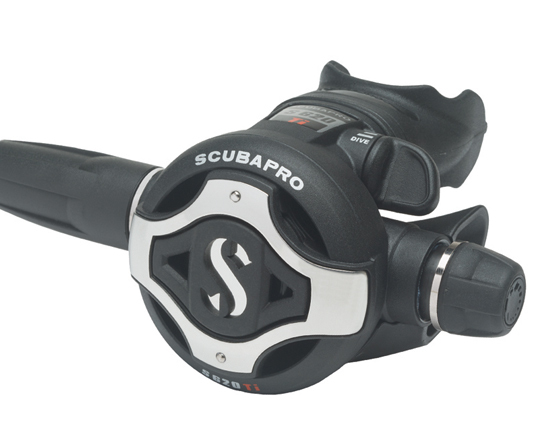 Smaller and lighter than the S600 but using the same-sized diaphragm, the S620 Ti delivers effortless airflow under all dive conditions. The full titanium inlet tube is ultralight, the large purge button improves water circulation, and the new exhaust tee increases performance while directing bubbles out of the field of view. In all water temperatures, in all dive conditions, this new reg system is a winner.